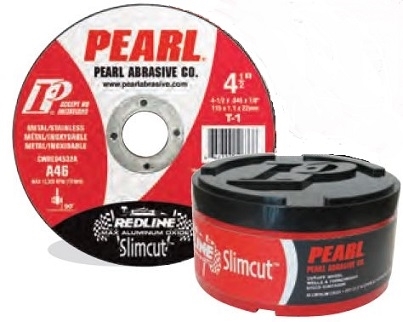 Made in Germany, the top quality Pearl Redline™ cut off wheel is Pearl's #1 selling cut off wheel. Highly requested, their high demand is based on superior performance. Bottom line, these cut off wheels cut fast and last a long time. They may cost a little more, but many tell us they are well worth it. When purchased in lots of 25 (same item #), receive a free plastic storage container with a screw top to protect the cut off wheels from damage and moisture.